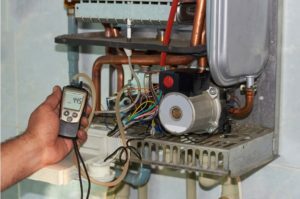 Annual Boiler Servicing: What’s Involved? “Prevention is better than cure” is how the saying goes and that’s the purpose of annual boiler servicing. It’s particularly important that businesses and industrial or commercial premises have their company boilers checked regularly. Everything seems to be working fine, is an annual check-up really necessary? Individuals and companies have their cars checked out annually at MOTs. You probably have your own annual check-up at the doctor’s. The reason is the same: if something needs fixing, it’s best to catch it early. If everything is fine, you’re set for another year. Then, just as with health and cars, there might be advisories. They will save you from suddenly discovering that something needs replacing or fixing just when that first snap of frost arrives. Check your warranty, too; it might be that an annual service is required if it’s to remain valid. What’s on the boiler service list? That’s not all, though. If parts need cleaning, your engineer will be able to do that. Some parts may even need replacing. ST Heating engineers carry an extensive range of spare parts, which means they will probably be able to resolve the problem on the same day without a return visit. We want to make sure your boiler is working safely, of course, but it doesn’t end there. An efficiently running boiler can last longer and save you money. A boiler that’s working properly can save you and your employees from hassle. The repercussions from a broken or badly-working boiler can be serious and we’re here to make sure you avoid them, every year.